However, its economic activity is mostly attributed to the large proportion of the services-sector, which occupies most of the labor force (71%). There are several industries you can work in after you graduate. 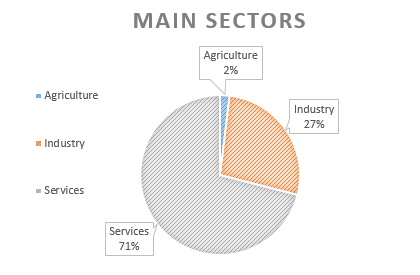 The country’s main sector is services which occupies the majority of the labor force (71%). 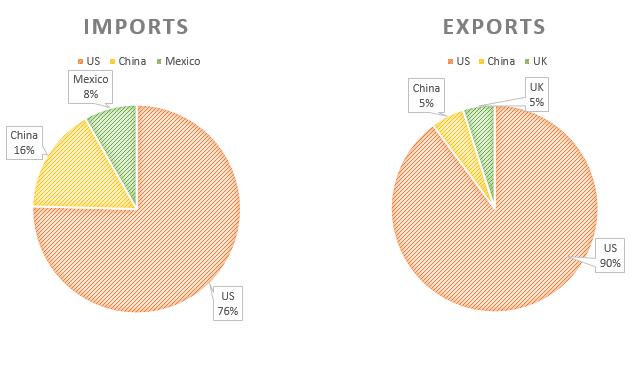 However, the countries main industries are listed below. Many of the Canadian companies are successful. The biggest of them are listed below. In case you’re interested in working at one of these, don’t hesitate to find out which university provides the appropriate course to study. You find a list of Canadian universities here. The economic performance is also reflected in the strength of the Canadian dollar, whose exchange rate is nearly 1:1 to the US$. Canada sends 75% of its exports to the US. This illustrates that Canada benefits from its strong neighbour, resulting in an economic growth of 1.8% in 2012.